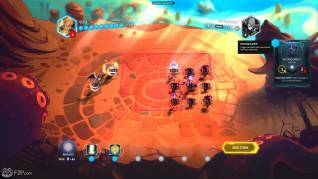 This weekend we checked out the new MMO Duelyst currently in beta, a combination of card collecting game /TCG meets tactical RPG style turn based combat where players must gather up cards to build a deck of Minions, Spells and Artifacts but played out on a gridded arena battlemap where playing a unit places their piece on the map. Playing the game for a few hours we managed to get a deeper insight into the game, checking out the various game modes, the six factions and try out the various features in what is honestly are fairly simple, concise but fun game. One of the main things that players will notice, and something we really weren’t sure about at first, were the graphics. 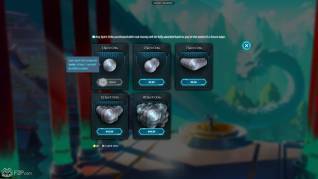 The main character portraits are classic Manga style drawings, but the overall backgrounds in the arena, the menus, some of the UI for features, all take on a more digital special FX quality (such as a bubbling rainbow ring in the Collections area) or beautifully digitally painted images. Then, to really throw it in the mix, the actual card icons, animations and characters are all 8-bit pixel designs like something you would expect to see from an old Amiga game; albeit done very well. Our first impression was that it was quite awful, we generally hate bad graphics combinations or horrible text that don’t sit well with the general look of the game, but admitidly the graphical style of Duelyst really grew on us. 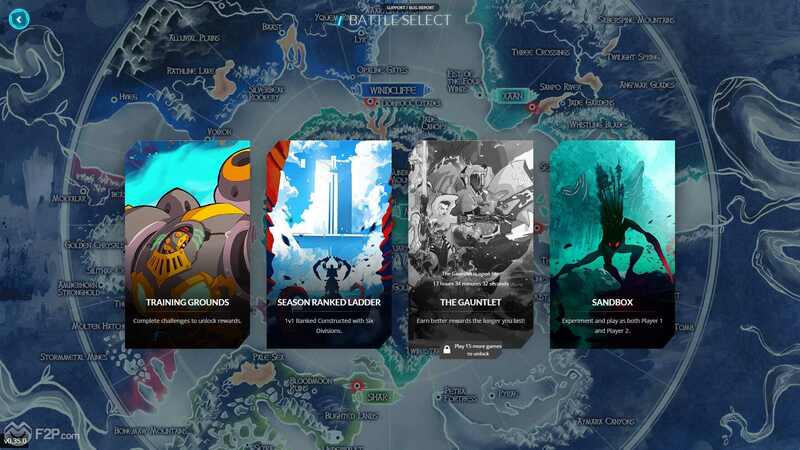 When starting out we were pushed into the tutorial, a requirement to learn the basics of play before we could even try out the Season Ranked Ladder, the primary matchmaking system where players battle it out for position and league standing. 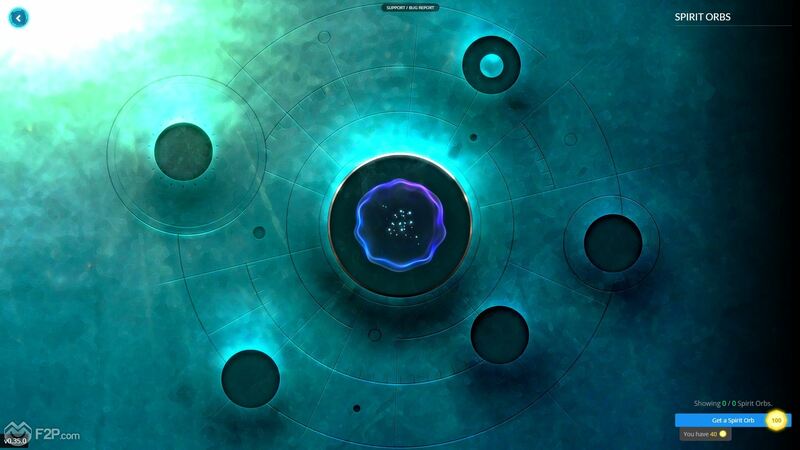 One of the things we really enjoyed about the Tutorial was that once the basics were taught the game then tries to teach players to be more strategic with their plays and movements by putting them through a One Turn Challenge. 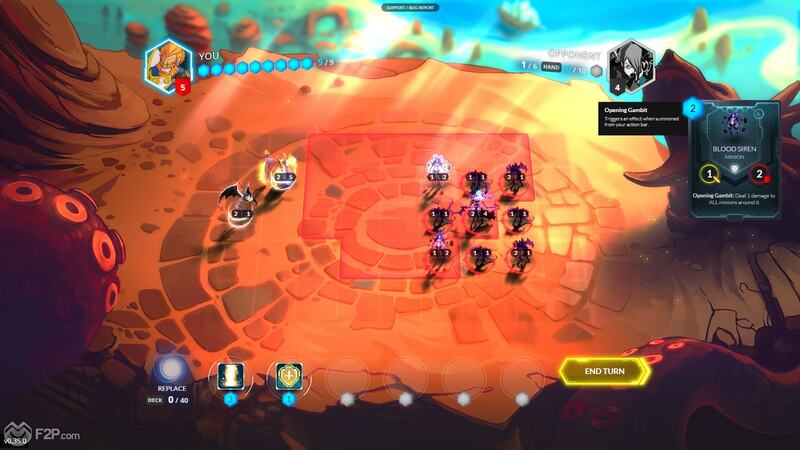 Each Challenge gave us our own General, Minions already positioned on the board and a handful of cards, then tasks us with kill the enemy General in one turn (if we failed… which we did often… then the General would kill us and we’d have to start again); the combination of which Minion to move, who to attack and which cards to use in order allows for a single winning move highlighting how quickly players can make a great play with some thought. The various factions offer something different to each game, thankfully as with something like Hearthstone players aren’t restricted to choosing a single faction or having to pay to unlock them (at least not for the beta!) so we got to test out the full spread. They all feel like they play completely differently, based more off what the main traits of the factions unique Cards are as opposed to any ability the Generals themselves may have; the only real purpose the Generals have is to stay alive (albeit they can attack enemies). We got to experiment with these in the tutorial but also in the Sandbox mode, allowing us to play as both teams and fighting against ourselves, a really interesting game where you’re trying to win and stay alive with both groups but the random element of new cards being drawn each turn really changing up the strategy constantly. Both modes really do add to the game and not only make it easier to picks things up, but also allows you to think strategically without the pressure of winning a battle, allowing you to take your time and really think moves through. The combat is really not what we expected given that up front it seems like a TCG, the battles take place on a 9x9 grid with each General being positioned on it at different ends of the arena; unlike other games where your “General” or Hero is more a static figure that is attacked if players close enough or a line of sight to attack, the General is actually moved around the battle with other pieces. 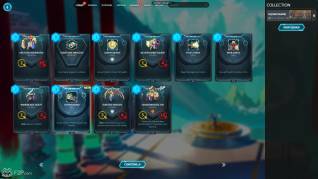 The easiest way to picture Duelyst is playing chess with your General as the king piece, with the highest hitpoints (25) he is hard to take down early on, but as more cards are drawn and more units placed onto the battlefield giving each of them less places to run then those hitpoints don’t seem all that high. As with a TCG we take it in turns to draw and place cards, spending mana that replenishes and increases each round; at the beginning of the battle there are actually three points in the middle of the map to take which grant you one extra mana for the turn, the third middle mana spring being closer to the player that will act second as a way to give them some advantage. As well as Minion cards you also get Spells which can be used to help you or hinder enemies and Artifacts that are attached to your Generals to give them various boosts. Combat is relatively simple, Minions can be placed down in any square adjacent to the General or another Minion and each get their own 2 square movement as standard and can attack adjacent units (this varies for ranged attackers or flying units) and often units will have unique traits. It’s the traits that really change up the gameplay, with the classic “Provoke” style ability that prevents enemies attacking anything but that unit when it is adjacent, or “Zeal” giving bonuses when adjacent to your General, but requires your General to be a bit more of a forward front line fighter. 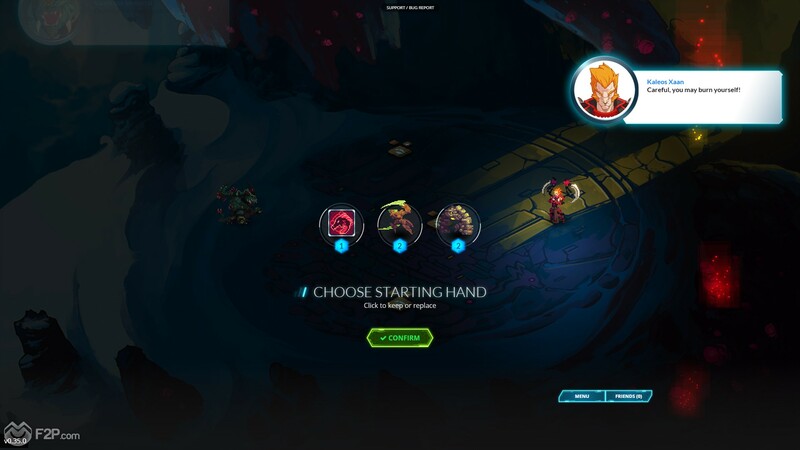 The spells for the different factions really vary as well anything from dealing direct damage to enemy Generals to teleporting your units around the map. 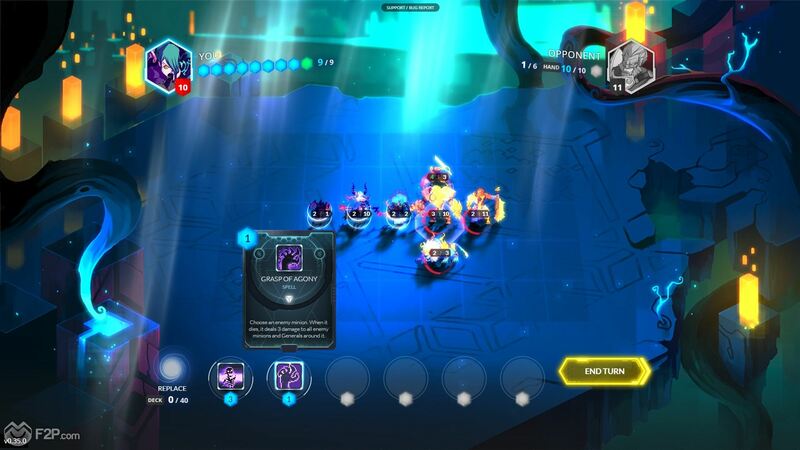 It’s quite hard to fathom how balanced the factions are, for us there’s certain ones that seem particularly overpowered, for example the Songhai who have the ability to stack artifacts on their General which means every time a spell is cast you instantly damage the enemy General; combined with a Phoenix Fire spell which deals 3 direct damage to the General (as well as Artifact power) as well as a “Mist Dragon Seal” spell that allows you to teleport a unit to any square giving it a +1/+1 attack and HP boost (as well as Artifact damage..). Given that some of the neutral starter units available can deal 10 damage and stacking multiple instances of Artifacts can be quite common there were a few times were our Stormetal Golem (6 mana) came into play mid game when our cheaper Ranged units had already softened up the enemy General, then we had at least 2 Artifacts on our General and could pull off a Phoenix Fire (2 mana cost) for 3 base plus 2 Artifact damage then casting Mist Dragon (1 mana cost also dealing another 2 Artifact damage for being a spell) to increase our Stormetal Golem to 9 damage on a hit and then teleporting him right next to the enemy for his attack, ultimately dealing 16 damage in a single turn. 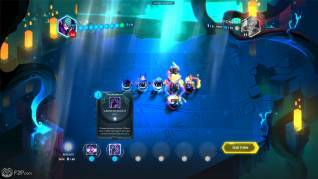 It might seem like a lot for such a combo, but this is accomplishable with starter deck cards that are really easy to stack up and use. Whether every faction has something quite so cheese about it we’re not sure but it seemed to get us out of a few problems more than once. 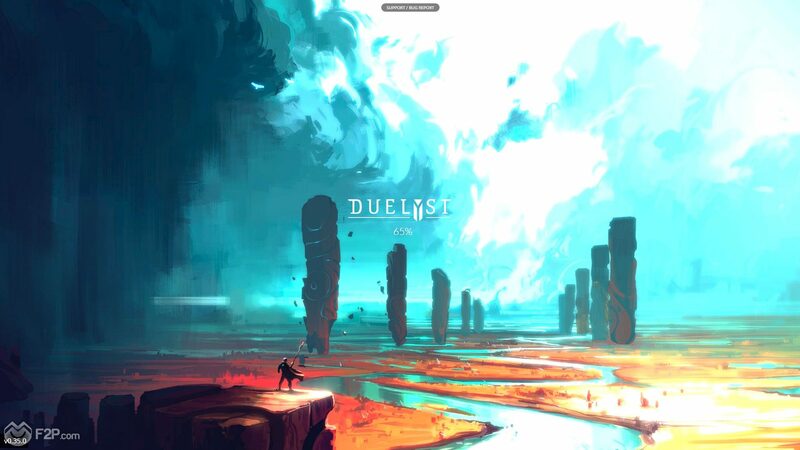 The game is fun, it has a few quirks that separate it from other games, but is familiar enough to be its own title; we’re not sure how many cards are currently available whilst it is only in beta but the more that are added and the more factions introduced is going to really make the game interesting and worth keeping an eye on. Hopefully with the 8-bit graphics we can expect to see cards added with more regularity, a big hold up for a lot of TCG games being the card art that takes considerably longer than 8-bit graphics do (we’re not saying there’s no talent in designing 8-bit, but it is generally a lot quicker). 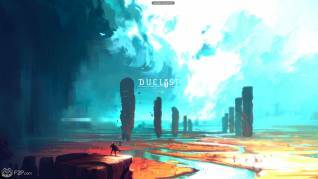 Duelyst is growing in popularity and we can see why, though we’d personally like a chat feature as opposed to the pre-selected “Well played” and emoticon faces, but we can understand why games avoid it to stop an unpleasant and toxic community. If you can get into the beta then it’s worth giving it a go, and definitely worth watching for when it goes into open beta.